Quite ambivalent about pizza in general. Well, in England, anyway. When I was growing up, Dominos was the greatest treat ever, so you may well throw up your hands in despair at this point and call me an ignoramus who knows nothing about food. The thing is, I either want really amazing, authentic thin crust Italian pizza, or really great when you’re drunk pizza. The in between stuff does not do it for me. Happy to report that I’ve found the former, on Portobello Road, next to Tesco, down the crappier end of the street. 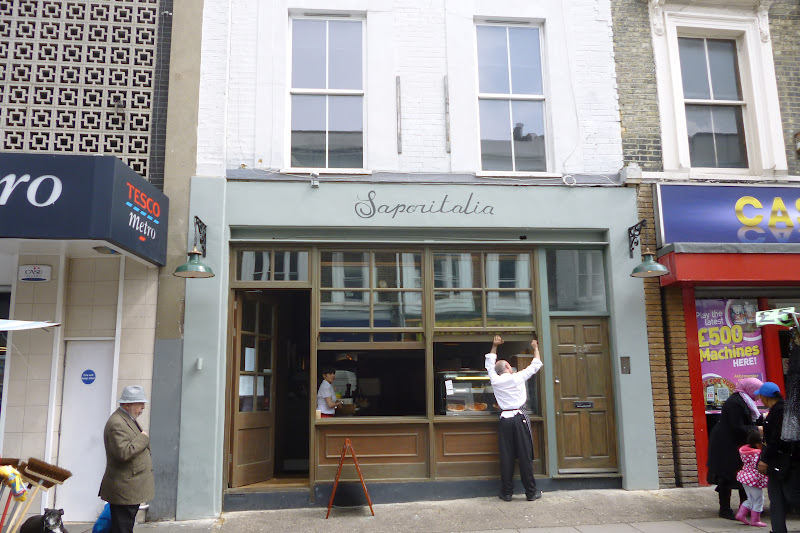 The restaurant is called Saporitalia. 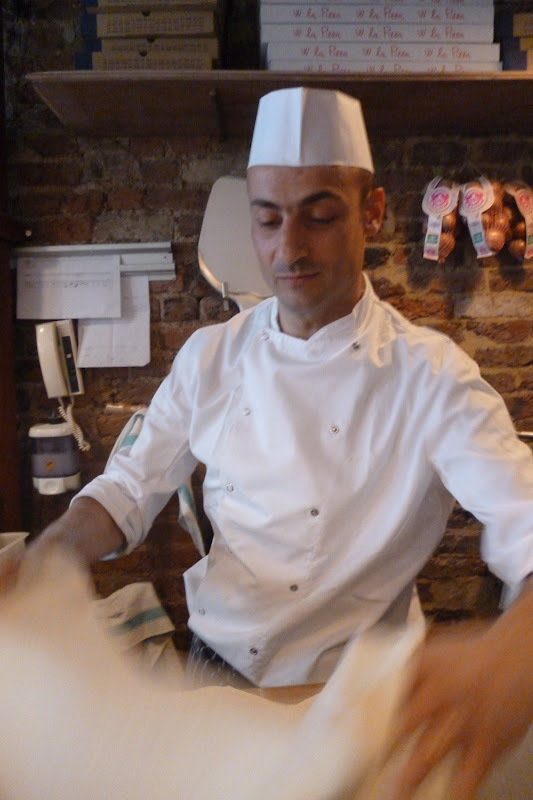 The guy who runs it was involved in Pizza Metro in Battersea back in the day. (This means nothing to me, but he said it in a way that made it sound hugely significant.) More to the point, the pizza right here, right now, is delicious. Super simple, very traditional toppings – buffalo mozzarella, cherry tomatoes and basil from Italy (or maybe Tescos next door, but it did smell amazing and un-Tescoey) Italian roast ham, Neopolitan salami, Puglian olives…. 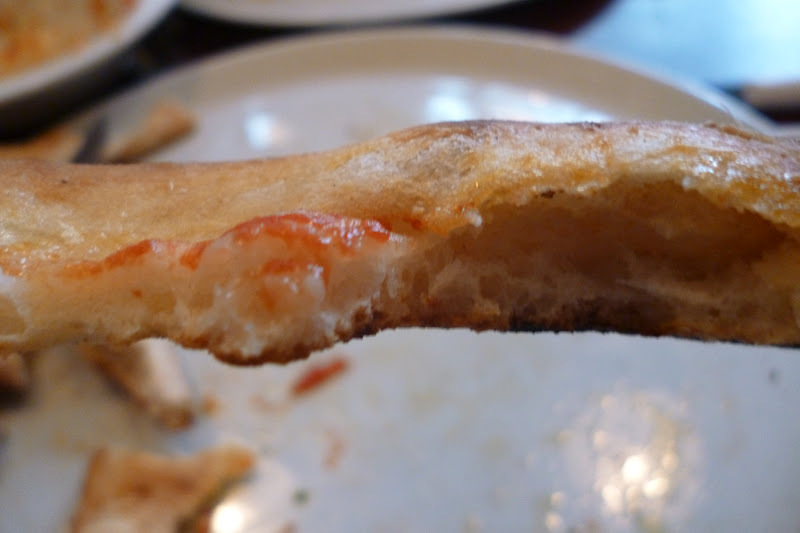 But it’s actually not so much about the toppings, but much more about the base, which is super thin and crispy. 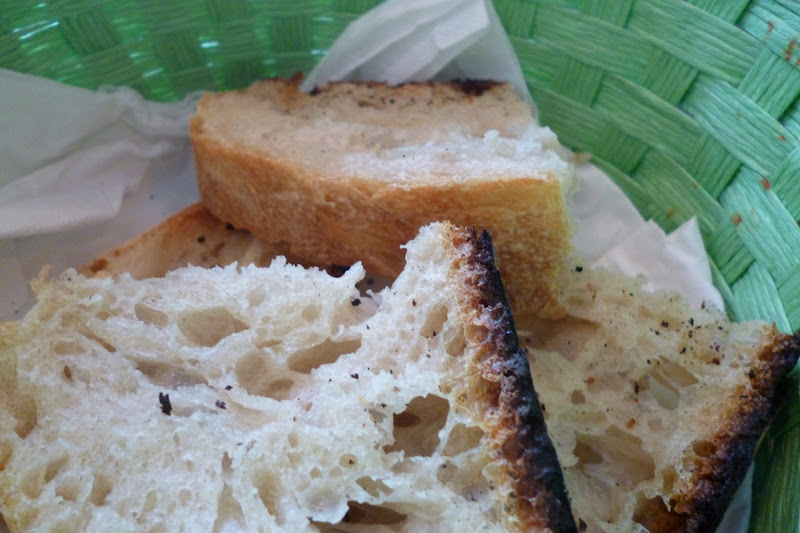 As it melds from main base to the crust, it goes springy and light and totally satisfying on the teeth. 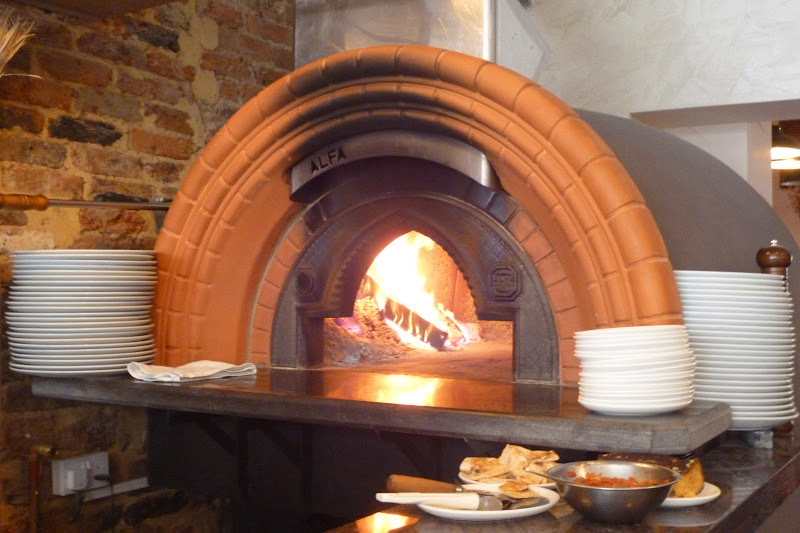 It’s something to do with a traditional sour rising process – they leave the dough to prove from midnight the day before, blah, blah, blah, but while the chef was talking all I was doing was looking in this big, fiery oven, thinking how cool and a bit scary it was. so you can eat 4 slices of bread, then a pizza, and then, if you’re that way inclined, more bread. And then get home and wonder why your tights have left an imprint around your waist. 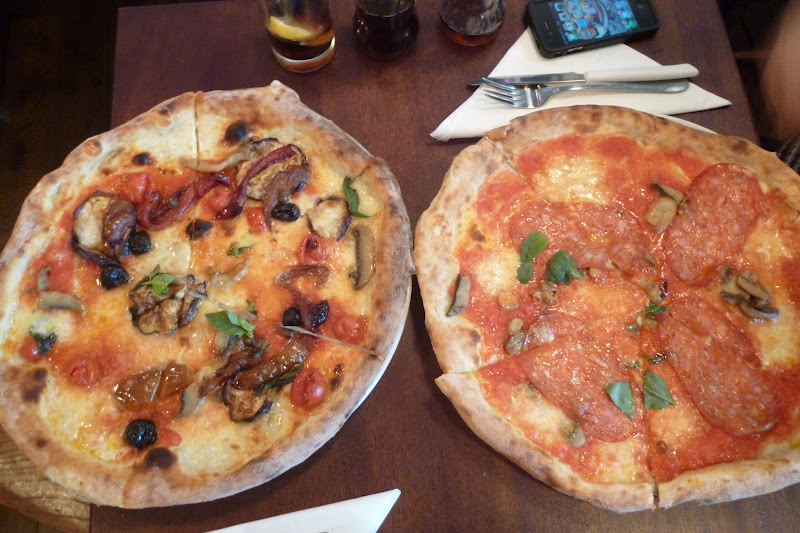 Anyway, the point is, there are plenty of places you can hide if you’re trying to sell an average pizza – you can stuff a crust, you can stick crispy duck and hoisin sauce on top, you can get a celebrity chef to put their name to your toppings. 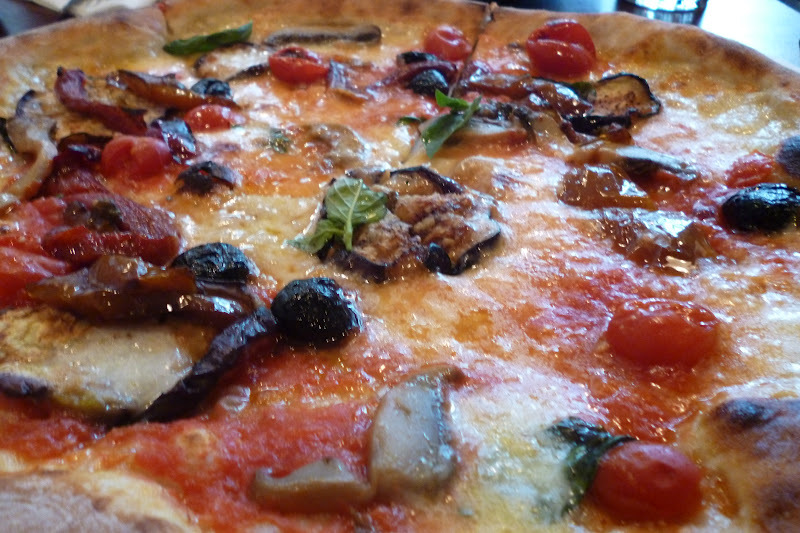 But with a pizza like this, there is nowhere to hide. It’s just you, a minimal topping, and the base. It had better be good, and it is. These guys have succeeded in keeping it extremely simple and not at all stupid. 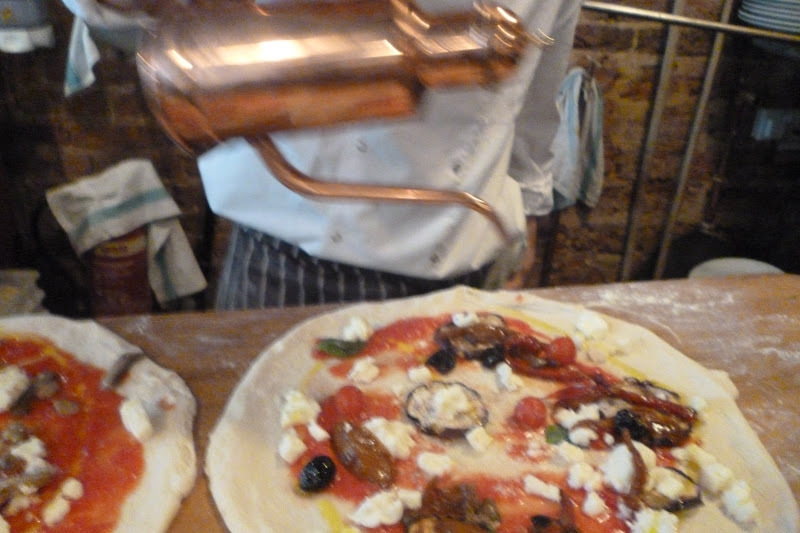 Quality raw ingredients, huge attention to detail, perfect process. I thought it had a silly name, but then who am I to throw stones, I’m named after an Interpol song and a dead film star. Anyway, all I can say was the food was so delicious I wolfed it down without taking a single photo, such was my greed. 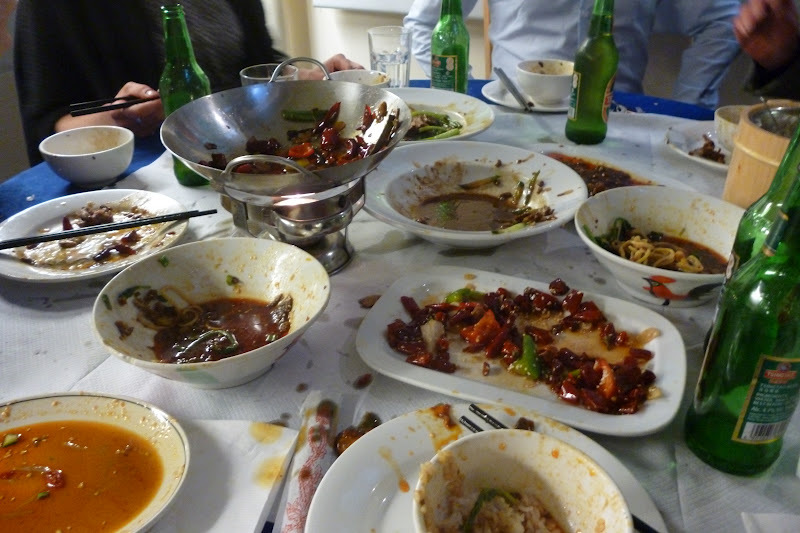 It was only when I surveyed all the empty plates that I realised other eaters might want some info. Don’t worry, I’m going back soon, I’ll update with more detail in due course. 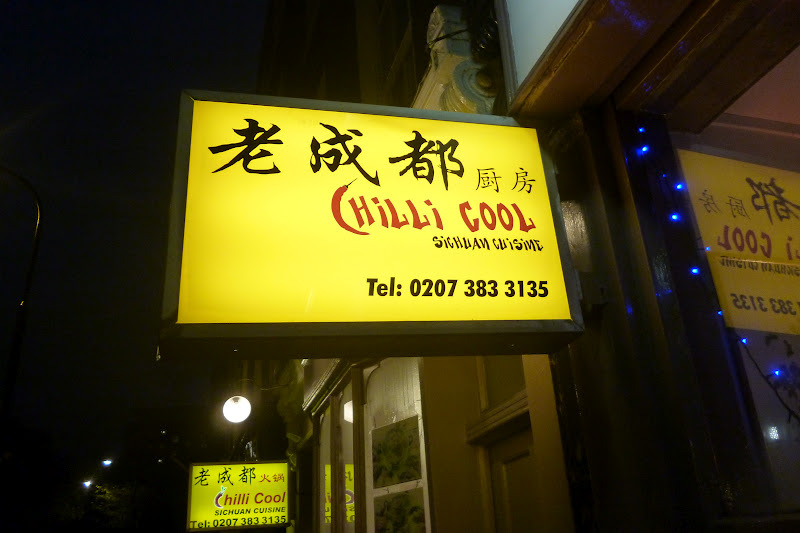 But suffice to say, if you like spicy Chinese food, it’s truly excellent – better than Bar Shu and Shan, and we stuffed our faces for less than £20 a head. Next > MEATMarket. Nice pun, shame about the rest.